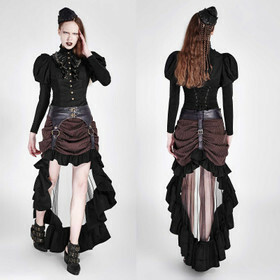 Gorgeous victorian inspired skirt for romantic outfits by Vintage Goth. Multi-layered skirt with taffeta, tulle and chiffon apron. Elasticated waistband. 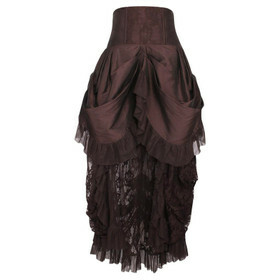 Gorgeous victorian inspired skirt for romantic outfits by Vintage Goth. 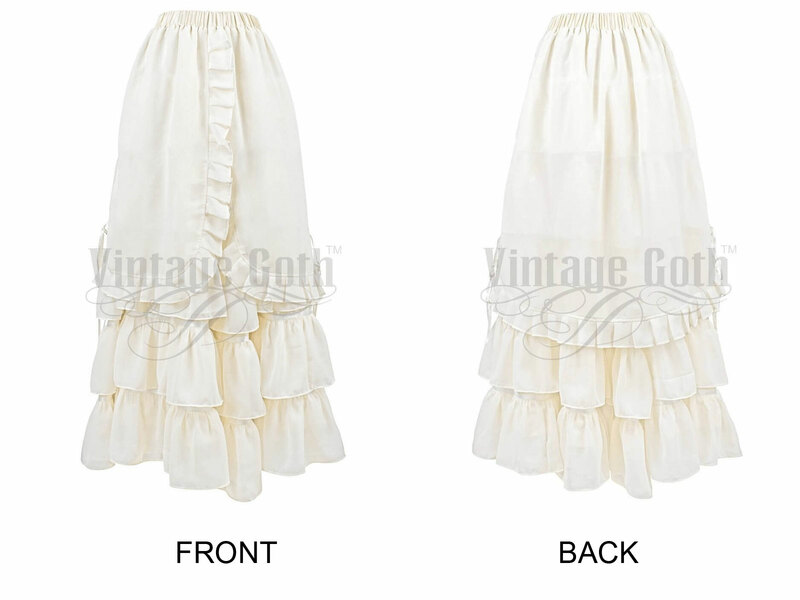 Multi-layered skirt with taffeta underskirt and multiple rows of tulle valances. 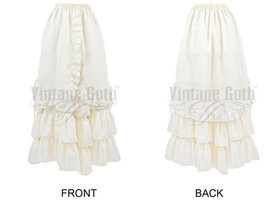 Light chiffon apron with ruffles. Elasticated waistband. Length: 106 cm / 42 in. The waistband is very elastic.